00:33 when that hypnotic bassline comes in. 01:00 when that synth comes in. 01:54 when the breakdown starts and the lyrics come in. 02:31 when the chorus comes in. 03:00 when the main synth comes in. 04:21 in the beginning of the second breakdown. 05:21 when the chorus repeats again. Ratty has a quite odd background. Although created by the men behind the german Techno-band Scooter, they themselves never revealed who they were. On all promotional pictures, there were 3 persons dressed up as three big rats. To confuse the record buyers more, the track were credited to Dave ”Bass” Parker, Slivo, Ed Harris and Finn Reder who in reality is Axel Broszeit, Hans Peter Geerdes, Hendrik Stedler & Jens Thele. It was actually not Ratty in those costumes but 3 guys called Janse, Jean and Martin. A fun fact is that Martin is Axel Broszeit’s older brother. On February 5th 2001, the single Sunrise (Here I Am) suddenly appeared in music stores all over Germany and soon after, the track was released in Canada, England and USA. The track got alot of attention already from the beginning and there were some confusion to who could have done it. The original video to the track is pretty cool. Instead of rats running around a maze, there are humans running around in the maze, trying to find the exit and they are observed by big rats. The vocals in the track comes from a track called Song To The Siren by the band This Mortal Coil and the vocalist on the track is none other than Elisabeth Fraser (from the band Cocteau Twins). The original track was released back in 1983. The same vocals also appears in Lost Witness – Did I Dream (Song To The Siren) which was released in 2002. 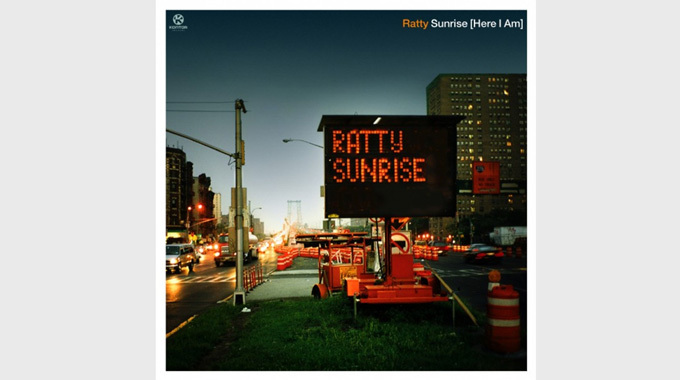 Ratty tried to release a followup to the popular Sunrise-track but the track, Living On Video (a remake of the spanish band Trans-X’s track with the same name) but it never became that success that they needed. The track was released on vinyl only and it was about to go to be pressed on CD-maxi but the label stoped it. It was first after the project was cancelled that Scooters manager, Jens Thele started talking about Ratty and who was behind it. A cool fact is that even long before the Ratty-project started, you could hear Scooter mentioning them in some of their tracks. On the 1998 album. No Time To Chill, there was a song called Expecting More From Ratty. Also, .Ratty was mentioned in the song Psycho (excerpt from the lyrics: …inspired by those people like Ratty…) and on the single She’s The Sun, there was also the b-side which was called Sunrise (Ratty’s Inferno), which is also a remix of Ratty’s Sunrise (Here I Am). So to sum it up, it’s not that often that a band/group/project get so much attention after just releasing one track. People usually call this a One Track Wonder but I’d have to say that even though they are right, it feels like the Ratty-project is too good to fit that group. For me, the track is a true classic and I remember the joy I felt when I finally found the CD-maxi in my local record shop. I even got my rock-buddy to buy a copy! I guess that the track, although more than 10 years old would still fit todays trance-goers taste in music, especially with that hard riff after the breakdown. For me, it will always be remembered as one of the best tracks in the world.